Choosing the right theme for your car-related website is vital. The theme you use says a lot about how seriously you take your business. It can entice visitors and include all the features needed during the buying process. However, a poor quality theme has the opposite effect. The following factors should be taken into account before you select your theme. Image is everything in the car business. Most people buy a car, based on how it looks. The same is true for a website that sell cars. Your website should be sleek and stylish. Make sure that you are making the most Photoshop when preparing images for your site (see this article for some great tips from Adobe experts). Visitors should be able to easily navigate through the website and quickly find the information and products they are searching for. To really find out how good a car-related WordPress theme is, you need to get advice from people who currently use the theme. This is easy to do. A range of WordPress marketplaces like Theme Forest provide information about each theme, which is invaluable, especially if you are viewing similar themes. They also include an area where current theme owners rate and comment on a particular theme. When you purchase a theme out of the box, you may want to add your own personal touches. Some themes are more difficult to change than others. However, many of the latest themes make it much easier to change images, fonts, layouts, menu bars and other key features of a WordPress website. You might also wish to add new features. Plugins help customize a website, but you may also want to customize even more. This means you will be changing a theme at its code level. The coding should be efficient and free of errors. To find out if this is the case, you will need to get the opinion of a website developer or look online for this information. Not every car-related website sells cars. The car industry is made up of a wide range of sub-niches, and the theme you use should closely match the sub-niche you are involved in. For instance, if you sell auto body tools, keep looking till you find a theme that caters for the needs of an online auto body tools supplier. The mobile revolution has changed the way we search for information and purchase products. Older website technologies are not compatible with the latest mobile devices. As a result, mobile users get a poor visitor experience when they visit a dated website. Find out how well a particular theme displays on different mobile devices. You can do this by testing on different devices or using a mobile device emulator. 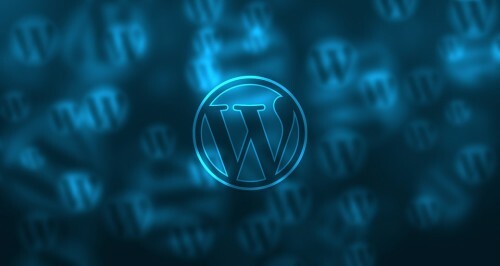 It’s vital to take your time when you are selecting a WordPress theme. There are many options available and there are also many different designers who can produce a high quality, customized solution. The theme you finally choose, should take into account all the factors mentioned in this article, so that you provide the best possible online experience for your audience.